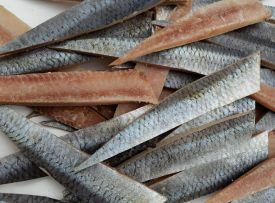 Scent Attractants :: Atlantic Herring Spit - Great Lakes Tackle Supplies, meat rigs, cut bait, herring strips, whole alewives, frozen bait. Familiar Bite Atlantic Herring Spit is ideal for our cut bait, whole bait and lures that you can juice up and send back down...just spit on it! !